Lots of activities, join in when you want ! Relax and soak away your cares! Welcome to our small social backpackers on the magical Waiheke Island, the island of sun, wine and fun! Only 35min from downtown Auckland. Waiheke is so close, yet so far removed from the rat race of Auckland City – come and see why Waiheke was voted one of the worlds top island destinations in the world by many travel magazines. 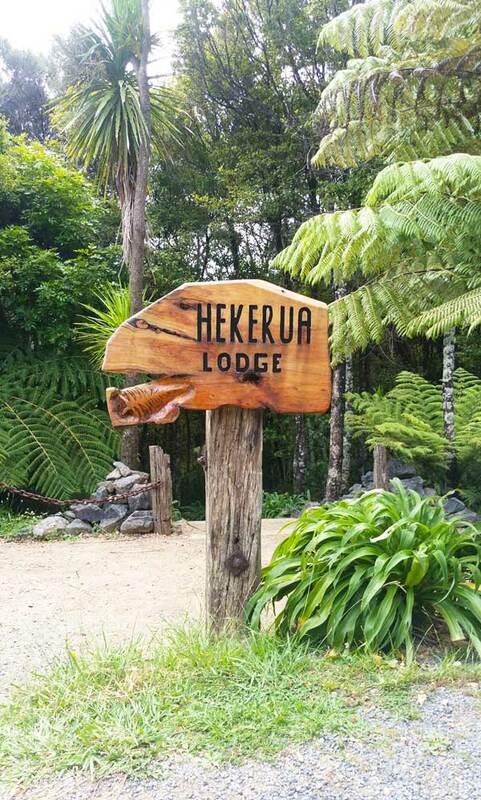 We cater specially for the international youth travel market, a place to meet new people, laugh and dance in paradise, so if you wish to socialize and have fun then the Hekerua Lodge Backpackers is the place for you!! We offer a chilled spot to get away from it all and immerse yourself in island and backpacker life. We have no TV so relax on any of our sun decks while listening to our resident DJ, take a dip in our rock pool or just wash it all away in our spa pool. Get involved with all our fun activities in the camp-ground including volleyball, cricket, beersbie and yoga! Waiheke has something for everybody and we mean everybody! Coastal walks, beautiful beaches, amazing wildlife, vineyards, brewers, cafes, restaurants, zip lining, archery – and more! All of our staff of international “gallivanters”, including the owner, are well travelled, have seen many things in this world but have now chosen to call this place home. We have extensive knowledge of the island and all the fun stuff to do on it. How old are you?? How old do you feel? If you are a mature traveller or looking for a romantic getaway, we may not be the place for you! That being said don’t be put off, if you want to have fun, socialize and interact come and join us in paradise. Welcome to paradise!! I have travelled the world and found that paradise was right on my doorstep - the beautiful Waiheke Island! A place to kick off your jandals and party with complete strangers who tomorrow will become your family. Have fun, spread some love, laughter and be happy. “Twenty years from now you will be more disappointed by the things you didn’t do than by the ones you did. So throw off the bowlines sail away from safe harbor. Catch the trade winds in your sails. Explore. Dream. Discover"